MailboxWorks’ thru the wall mailboxes are perfect for recessing in walls, allowing you to securely receive mail at any time of day. With through wall mailbox slots for both indoor and outdoor use, you’ll find the perfect finish to go with your home, whether it’s a painted aluminum slot, a brass mail slot or a stainless steel thru wall mailbox slot. Through the wall residential mailboxes (commonly referred to as “thru wall mailboxes”) are used for both indoor and outdoor mailbox applications. Both applications add convenience to secure after-hour mail delivery plus packages, key returns and more. Below is a general overview of the through the wall mailbox options available at The MailboxWorks, including the mailbox drop box. Where rain and other harsh elements are not an issue, choose Florence through the wall mailbox slots. Florence has been manufacturing commercial and residential mailboxes since 1934 and now offers several indoor thru wall mailbox slot options including a basic US Mail slot. Florence also manufactures a mailbox slot with locking collection box for secure pickup plus a Hopper drop box for book and video returns. 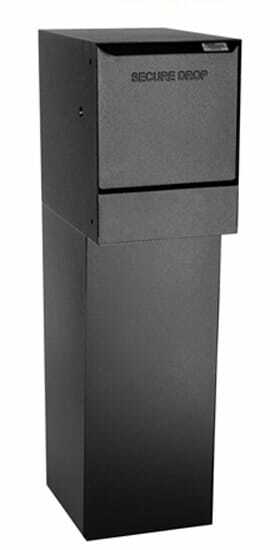 Designed to look like a residential mailbox from the exterior, QualArc’s decorative locking through the wall mailbox is durable and lightweight. 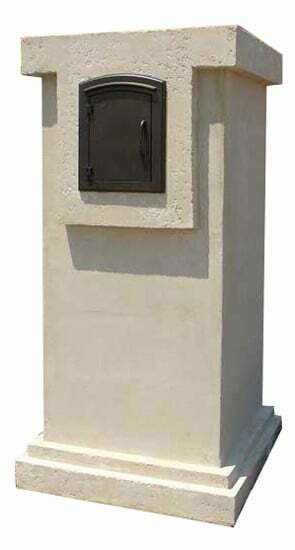 Suitable for outdoor use and sealed against the weather, the back mailbox panel features a dial lock for secure mail pickup. 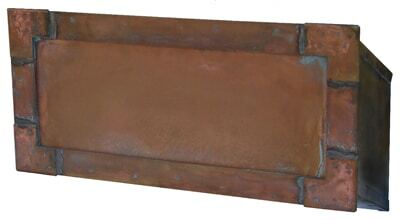 Choose from two great wall mount mailbox styles: Stucco-U or Dune-U mailbox. A true work of art, the Streetscape Executive Wall Mount mailbox slot is hand crafted in the USA and comes with optional address numbers. Ships ready to install on your home’s front door. The dVault locking wall mount mailbox is perfect for receiving packages when you are not at home or your business is closed. dVault mailboxes are installed between wall studs or can be installed on the optional bottom hold for an unobtrusive look. The bottom keyed-lock hold features a ViewPort to see when items are deposited. Need Assistance Ordering a Through the Wall Mailbox? No matter which thru wall mailbox, hopper drop or mailbox slot you choose, you can feel rest assured when you purchase from The MailboxWorks, the nation’s largest mailbox retailer. Since 1989 The MailboxWorks has been helping homeowners just like you choose the perfect residential mailbox. Ask us a Question about through the wall mailboxes and mailbox slots.